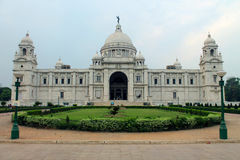 Kolkata (formerly known as Calcutta), the capital city of West Bengal, is a city of every traveller’s dream. With architectural splendour, rich art galleries, vibrant culture and historical significance, Kolkata is undeniably one of the most important cities of the country with a significant past and culture, religious importance, along with a rich art and literary history. From Kolkata book fair to the splendid Durga puja celebrations, there are ample of cultural and art-related activities that one can be part of during a Kolkata tour. In India Odisha (Orissa) tourism is very special. 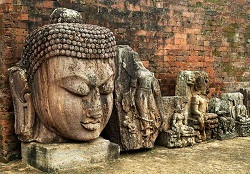 Filled with exquisite temples and extraordinary monuments, home to many thousands of prolific artists and craftsmen; and possessing beaches, wildlife sanctuaries, and natural landscape of often-enchanting beauty, Odisha (Orissa) tourism is a unique and fascinating land that is, nevertheless, still largely undiscovered by tourists. Orissa (Odisha) India is a veritable museum of India's sculptural and artistic heritage and has long been famous to scholars and connoisseurs for the magnificent Sun Temple at Konark (The legendary 'Black Pagoda' of European mariners), for the majestic temple of Lord Jagannath at Puri (renowned for the spectacular Rath Yatra chariot festival), and for the glorious temples of Bhubaneswar. 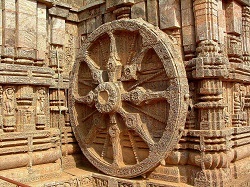 The small but ever-growing number of sophisticated tourists who do manage to find their way to Orissa (Odisha) tourism are generally prepared with some knowledge of these temples, Puri tourism, of the delicate Orissan ikat textiles which have been become famous throughout the world, and, perhaps, of the beaches at Puri and Gopalpur on sea.